I damaged my hair pretty badly when I tried to self-dyed my hair a different color. When shampooing, my hair would become straw-like and just overall super dry. I would have to use a handful of conditioner and leave it in just for my hair to become smoother. After switching shampoo to Nexxus Therappe Ultimate Moisture, my hair has become a lot healthier. It is no longer dry when washed. I use less conditioner and my hair just feels so much better in terms of being smooth and healthy. I have very thin, fine asian hair. Nexxus Therappe Ultimate Moisture improved my hair texture and overall volume. I am very happy with the results after using this shampoo. The Nexxus Therappe Ultimate Moisture Shampoo is great for normal to dry hair. It works great on my long, thick hair, especially as the cooler weather is approaching. It states that it is enriched with a Caviar Complex and Concentrated Pure Elastin Protein, which "cleanses, while nourishing deep within." I have been following it up with the Nexxus Humectress Ultimate Moisture Conditioner. These two steps combined leave my hair soft during this cooler weather that is known to strip my hair of moisture! I received a sample of this product free for review purposes from another site, but all opinions are my own. 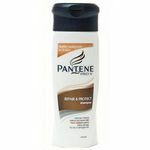 This shampoo is one of the best shampoos i have used. It leaves my hair so soft, and it makes it feel healthy. My hair was damaged before and i started doing treatments, and i bought this shampoo because i heard good reviews about it. I started using it last year and i have seen a big difference in my hair. This product is not cheap but it is worth buying. I do not even need to use conditioner. This shampoo is such a great product and i recommend it to everyone even if their hair is not damaged and they just need a good shampoo. You will love how your hair feels after the shower, and it is really easy to brush. I have never had a problem with brushing my hair after i use this product. And i do not have to worry about knots in my hair. Scent The scent is alright i'm not a big fan of it. It smells a bit like coconut, and i do not really like the scent of coconut in shampoos. But a lot of people do, so if you are one of those people you will definitely like it. I have used this product for about 15 years I love the way it makes my hair feel and smell. This is the best product that I have used. It makes my hair look so much healthier and shinier than any other brand out there. There have been times when I run out and it is a little hard to find some close to home so now I make sure and keep and extra bottle so I don't have to go without it. Not sure it moisturizes as well as it claims to. I bought this very expensive shampoo because my hair was very dry and I wanted something of a 'salon' quality and thought this would do the trick. Well, at first I thought it was performing quite well but after a few washes I found my hair was beginning to get dry and brittle. Effectiveness After several washes I found this shampoo wasn't as effective as I had hoped. It claimed to moisturize my hair but I found it to do the opposite. Wish every washing my hair seemed dryer than the time before. I'm not sure why, but that's what I noticed. I guess my expectations was to get the same luxurious feeling I get when I leave the salon especially for the cost of the shampoo. I really wouldn't recommend this product. Scent Even though I wasn't happy with the performance of this shampoo, the scent is actually quite nice. It's not too strong yet not too subtle either. My fiancé commented several times on how good my hair smelled; I just wish it moisturized my hair a little better than it did. Overall not a bad shampoo but it is definitely over priced. This is not a bad shampoo. I think it is overpriced. It think there are other comparable shampoos at cheaper prices. Effectiveness I have been using this shampoo for over a month now. It is definitely more on the pricier side. I think it is overpriced and there are other shampoos that have a similar effectiveness for a cheaper cost. I can say that I think it does make the hair more silky to some degree. It is wonderful in that way. Other than that this is your average shampoo. You can get the same effects at a cheaper price. So why pay the high price. There must be a reason for that. I cant say I was overjoyed with the results of this shampoo. Although maybe it works better on some hair types than others. Maybe it is just not that great for my particular hair type. Scent Smell is not too strong. I don't think it smells like anything in particular. It does not smell like something extraordinary but at the same time it does not smell bad. 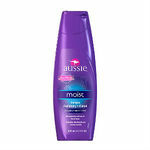 Its your average shampoo. This is my favorite shampoo ever!! The Nexxus Therappe Luxurious Moisturizing Shampoo is my absolute favorite shampoo ever! I have tried multiple brands of shampoos and they all either dry my hair out or make it feel greasy or stringy. This shampoo makes my hair feel so great and I can truly tell it is healthy and hardly ever get split ends! I am always straightening and using a curling iron on my hair, that I know it gets damaged often. But, this shampoo certainly does make up for all that damage! 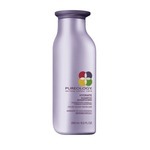 Effectiveness This shampoo is extremely effective! I have naturally curly hair and so it is always tangled and knotted. This shampoo makes it a little easier to wash my tangly hair. It also makes my hair so shiny and healthy feeling! I get my hair cut like twice a year, so split ends are normally a big concern. But, ever since I started using this shampoo, I hardly ever have split ends and it is amazing! Everyone compliments me on how great my hair looks and how it flows beautifully and I think that is due to this great shampoo! Scent This shampoo smells absolutely amazing! Sometimes I just stand there and smell it! I am always smelling my hair throughout the day because it just smells so good! It smells good but is not overly fragrant, and I really like that. Nexxus Therappe Ultimate moisture shampoo is not anything special. If you are looking for a miracle hair cure, do not count on it from this shampoo. It is overpriced for the results the bottle claims. The bottle said it is supposed to restore and maintain vital moisture but I did not see it doing a better job than a cheaper and average shampoo. It does make a rich and creamy lather with a lot of bubbles. However, I felt like I needed to use more of the shampoo to get it to make a lather. My hair is not any softer or more lustrous after I used it. I had a coupon so I got a good price on it. If I had to pay full price, I would not be happy. The scent is not my favorite. It is an artificial coconut scent. I would say that I like the bottle style. I bought the 5.1 ounce bottle. It is easy to squeeze out. The lid is on the bottom of the bottle, so the shampoo is always draining towards the lid. I am not a big fan of Nexxus Therappe Luxurious Moisturizing Shampooanymore. I used Nexxus products about about fifteen years ago, and loved it. I switched away for a while because of the cost, and recently I tried the Nexxus Therappe Luxurious Moisturizing Shampoo again hoping for the same wonderful results I had before; but I was sorely disappointed in the product. I don't know if they changed the formula the five or so years that I didn't use it, but now it doesn't feel like my hair gets clean and there is a film left after I rinse. For the cost of Nexxus I really expected more. I have A LOT of thick, curly hair that gets very dry no matter what time of year it is. So I hoped that the extra moisture from the higher end Nexxus Therappe Luxurious Moisturizing Shampoo I would have hair to be proud of, but that is not the case. Everyone's hair is different, and this does not work for mine. Because of the film/residue that was left behind it felt as though it dried my hair out more than it added moisture. Nexxus, go back to the old formula. I have the kind of hair no one wishes they had: dry, brittle, frizzy, thin, weak. Ugh! I had given up on ever being able to wear it down, because it never looked nice. Then, I used the shampoo provided at an upscale gym instead of what I brought in my gym bag. It was incredible. I ran out and bought my own bottle of Nexxus Therrape and never looked back. Effectiveness It really does replenish moisture and leave my hair feeling luxurious. If I go back to using any other shampoo, I instantly regret it because the brittleness and frizz return almost instantly. I will never be a hair model, but for once I don't feel like I have to hide my hair in a bun at all times. Scent Out of the bottle, the shampoo smells clean and simple. It isn't overpowering or underwhelming. Just nice. Once you wash your hair, though, the smell is fantastic. It really leaves my hair smelling great, but again, it isn't overpowering or out-of-place.